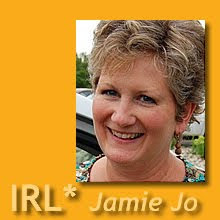 IRL*in real life with Jamie Jo: Tired, Run Down, Listless? Are you tired, run down, listless? Do you poop out at parties? These are words that make us Lucy fans smile. The rest of you can view this classic Vitameatavegimin skit here. If the truth were known, many of us could benefit from a strong swig of Lucy’s health tonic. People tease me about my home brewed Kombucha, which I confess to imbibing for an afternoon pick-me-up, but seriously, we need something to give us more pep and zing. The more women I talk with, the more I am convinced that living cross-culturally takes a heavy toll on our bodies, and at some point we need to take measures to undo the damage to our adrenal system. Do an online search and you will come up with some questionnaires like this one to pinpoint whether you have been running on adrenalin to the point that it is failing you. Some telltale signs include weight gain (especially around the middle), allergies you never had before, mood swings, restless sleep, headaches, and of course, lack of energy. This is my little public awareness campaign for the week. Please get help if you think this could be your problem. You will not suddenly find the enthusiasm for diet or exercise until you address the underlying cause. Of course for some of you, perimenopause could be the real issue. That’s one of many things Mama never experienced or warned me about. I suspect that our poor diets and high-stress lives play into menopause being more of an obstacle than it used to be. Did you know that (without nutritional support) you could suffer for ten years of gradual weight gain, emotional craziness, and other self-defeating problems before you ever hit menopause? Sad, but true. Find some form of exercise you like and do it at least half an hour four times a week. Every week. Cut way back on sugar, grains, and packaged/processed foods. Find leisure activities to counter the continual stress. Put some margin back in your life so you don’t wear out your adrenals. Don’t ignore seemingly unrelated health complaints. Get help soon. And remember, “Be bright and vivacious!” and “Join the happy, peppy people.” Also keep laughing. It’s good medicine. IRL* Stepping down from the soap box, I’m off to exercise and get back in shape before an exhausting spring and summer. AMEN. I think too is that to many of us in full time service talk ourselves out of the 'one day of rest' a week. Studies show that one day 'off' a week makes a person more productive and you can achieve more in the other 6 than if you work all 7. We need to take down time seriously for not only our physical and mental health but for our spiritual heath!! When I started to suffer from the negative symptoms of mild burnout I read a helpful book by Dr. Richard Swenson, Margin. Restoring emotional, physical, financial, and time reserves to overloaded lives. I actually heard Richard Swenson in person once when we were on furlough-not-a-vacation. I second the endorsement for his book. Normally I am almost guilty of leaving too much margin in my life, but God knows I need it for the unexpected crises that come up. Wow, that is important, helpful stuff! Many thanks. I guess God must really want us missionary ladies to hear this message this week! What a wonderful resource. Thanks for linking us to Ashley at Missionary Moms. I also loved Richard Swenson's book. I think we cross-cultural workers and moms have so much on our plates. It is hard to find balance, and you are right. Margin is so important. As I read this post, I'm realizing I need to learn more about perimenopause. I think it's been affecting me for a few years, and I'm pretty ignorant. Thanks for the heads up! For your sake, I certainly hope not! No, it's never too late to start. That's why I'm starting (again) tomorrow with exercise and eating less.